Shake all ingredients and pour in a rocks glass full of ice. 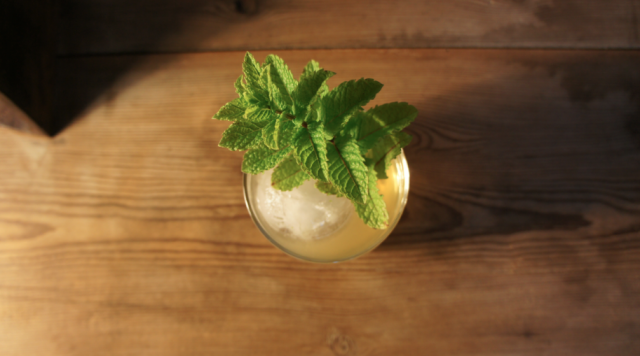 For the garnish, you can put a mint sprig. The result is enjoyable and refreshing, with sweetness and the curaçao (I've chosen Pierre Ferrand Dry Curaçao) brings a nice elegance.